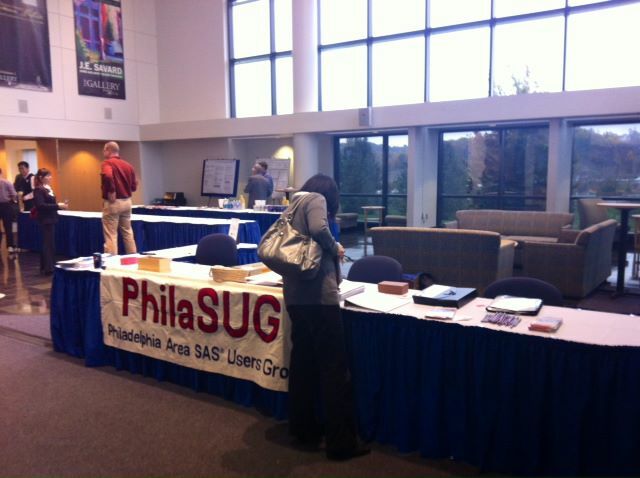 PhilaSUG (Philadelphia Area SAS Users Group) is a non-profit local volunteer users group professional organization. We are an independent, all-volunteer, non-profit organization of individuals who come together to share knowledge, exchange ideas, promote best practices, and sharpen our skills. Our primary purpose is to provide a forum for the exchange of ideas, increased knowledge of SAS® software, and professional advancement. 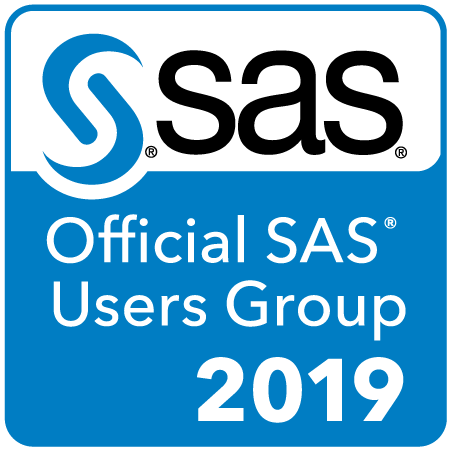 PhilaSUG is registered as an official SAS users group, but operates totally indepent from SAS. As an official SAS users group we can take advantage of the support and resources offered by SAS. SAS offers a variety of support services to promote our local users group, which includes: SAS will provide speakers annually to speak at our meetings, complimentary book giveaways, a variety of SAS logo items for giveaways at the meeting, and a SAS sent email announcement ("blast") to promote one of our meetings once a year. In addition, speakers from our own area contribute their expertise, so PhilaSUG meetings always offer a stimulating mix of ideas. PhilaSUG usually holds three meetings annually (see the calendar of events ) and provides an e-published newsletter. SAS® recognizes this group as the official group for the Greater Philadelphia area. Thanks to SAS® and the User Group Events Team for all your help and support! All PhilaSUG meetings are free to members, full time students showing their matriculation card, and employees of our host. Additional meeting details will be posted on our calendar page at http://philasug.org/calendar.htm#Next_Meeting as they become available. Rick Aster's Global Statements a set of online resources for SAS programmers. Sunil Gupta's SAS Savvy web site focused online SAS resource and SAS training. With the sunsetting of sasCommunity.org, SAS has been working to make a new home for the site content that is popular and unique to the site. This includes the legacy SUGI (and SEUGI) proceedings that date all the way back to SUGI.ONE (held in 1976). 21 years of conference papers (over 7,000 PDF files!) have been moved. You can read about the move here https://communities.sas.com/t5/SAS-Communities-Library/SUGI-Conference-Proceedings-from-1976-onward-available-on/ta-p/503500. PhilaSUG-L is a very low volume Internet mail announcement list (Yahoo Group) devoted to interests of our PhilaSUG members. This is an opt-in service. 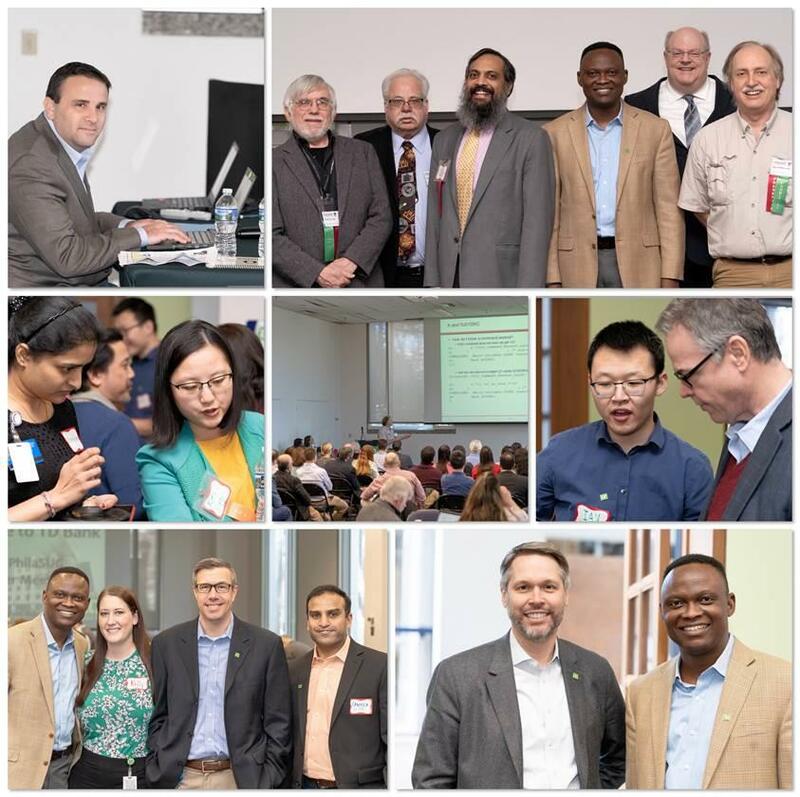 To receive automatic e-mail notification of upcoming meetings subscribe to our electronic meeting mailing-list or in other words if you would like to receive e-mail meeting announcements send an e-mail to PhilaSUG-L-subscribe@yahoogroups.com. With multiple ways to do most things in SAS, understanding some simple coding guidelines is the key to efficiency. This Ask the Expert video teaches you tips and tricks to make your SAS code run more efficiently. Overview of our SAS Analytics U program and the free offerings that accompany it. SAS Focus Areas - SAS Focus Areas are here to address your needs as a SAS user and offer you an intimate look at new and existing SAS products and solutions. This section of the Customer Support Site was renamed from SAS Communities to SAS Focus Areas during the site update in October 2007. Contrary to popular belief, this web site is NOT powered by a hamster running in a wheel. It is a gerbil. THIS WEB SITE IS PROVIDED "AS IS" WITHOUT WARRANTY OF ANY KIND, EITHER EXPRESS OR IMPLIED, INCLUDING, BUT NOT LIMITED TO, THE IMPLIED WARRANTIES OF MERCHANTABILITY, FITNESS FOR A PARTICULAR PURPOSE, OR NON-INFRINGEMENT. IN NO EVENT SHALL PhilaSUG BE LIABLE FOR ANY DIRECT, INDIRECT, INCIDENTAL, SPECIAL OR CONSEQUENTIAL DAMAGES, OR DAMAGES FOR LOSS OF PROFITS, REVENUE, DATA OR USE, INCURRED BY YOU OR ANY THIRD PARTY, WHETHER IN AN ACTION IN CONTRACT OR TORT, ARISING FROM YOUR ACCESS TO, OR USE OF, THIS Web SITE OR ANY OTHER HYPERLINKED Web SITE. Privacy Statement - Local SAS User Groups are required to share their membership/mailing list with SAS Institute on an annual basis. We respect your privacy and will never rent, sell or trade your personal information voluntarily provided with any other group or individual and the information provided will only be used for PhilaSUG mailings. SAS and all other SAS Institute Inc. product or service names are registered trademarks or trademarks of SAS Institute Inc., in the USA and other countries. 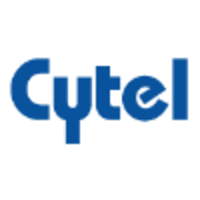 ® indicates USA registration. PhilaSUG is not affiliated with SAS Institute but is proud to be officially recognized and supported by SAS Institute.